If you have any. We will try our best to satisfy you. Model Number GU045RW. Manufacturer Amazon. New Amazon Kindle Fire Touch Screen Digitizer. Amazon Kindle Fire. Content: Touch screen grade A (no bubbles). No exception. What you get. 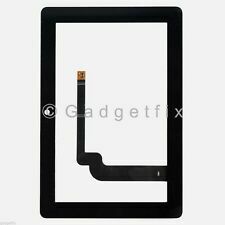 What You Get 1 x Touch Screen Digitizer forAmazon Kindle Fire HDX 7. Compatible Amazon Kindle Fire HDX 7. Each Screen is Tested and 100% Working Condition. Kindle Fire HDX7 Touch Screen Digitizer. 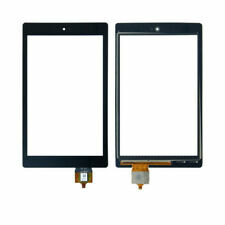 1 x Touch Screen Digitizer for Kindle HDX7. What you get. For Amazon. 1 x LCD Touch Screen Digitizer Assembly. Cell Phone Screen. Change this Part is not an easy job. just connect the flex ribbon to mainboard connector. after test the item working fine and then fitting into your phone. 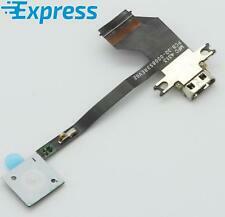 PARTS FOR KINDLE FIRE 7 (D01400) NO BOARD +WARRANTY+BONUS-FREE SHIPPING! MODEL: D01400. KINDLE FIRE 7. BONUS= MICROFIBER TOWEL TO CLEAN YOUR SCREEN WITHOUT SCRATCHING. NO LOGIC BOARD INCLUDED! WORKS WITH LOGIC BOARD. 'orderHub' IS INSCRIBED ON THE LOWER BORDER OF THE SCREEN. These tablets are in good used condition. She doesn't use them anymore (she uses her phone for EVERYTHING!). I don't think there is anything seriously wrong with them. The otter boxes are in very good condition. LCD Display Screen for Amazon Kindle Fire HD7. 1 x Kindle Fire HD7 LCD Display Screen. What you get. You get both audio jack cable and camara cable both working. Amazon Kindle Fire 1st & 2nd Generation D01400 4400mAh 3555A2L DR-A013 QP01 BATTERY. This part was removed from a Kindle Fire 1st generation tablet with a cracked screen or bad LCD. This was removed from a Amazon Kindle Fire 5th Gen SV98LN. Product Description: Type: Touch Screen Digitizer Condition: Brand New ,Not pulled from phon. 100% Tested and 100% Working. Quality: 100% Replacement and High Quality, Each Product Is tested before shipping and are 100% working Warranty: 12-month Color:Black Compatible Model: For Amazon Kindle Fire HD 10 7th SL056ZE Packing List: 1PCS x Touch Screen Digitizer Condition Brand NEW Type Touch Screen Digitizer Compatible Brand for Amazon Kindle Fire Compatible Model for Amazon Kindle Fire HD 10 SL056ZE Color Black Note Pls confirm your model and picture before purchase Brand Unbranded MPN Does not apply UPC 840637111065 EAN Does not apply. Model : For 6" ED060SCG. LCD Screen Display. It is used to repair faulty screen， display problems, dead pixels, cracked LCD screens, wrong color issues and so on. 1x 6" LCD Display Screen. Model : For 6" ED060SCG. For LG K4 K130 K130E Touch Screen LCD Display Black Digitizer Glass Replace #RH. 13.3" 1920x1080 Dell Inspiron 13 7373 LCD Display Touch Digitizer Assembly #12h. LCD Screen Display. This was removed from a Kindle Fire HD 7 SQ46CW. This was removed from an Amazon Kindle Fire HD 8.9" 3HT7G. AMAZON KINDLE FIRE HD 7" X43Z60. Good Working Conditions. Compatible with: For Amazon Kindle Fire 7 HD5 2015 SV98L. Orders will be processed instantly and dispatched in 24 hours normally, so we do NOT accept any requested note before or after you place orders. Amazon Kindle Fire HD 7" X43Z60. Tested,In Good Working Conditions.